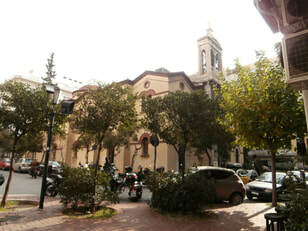 A vital corner of Athens, Karytsi Square, is named after the elegant church dedicated to Agios Georgios (St. George) Karytsis, built by architect L. Kaftantzoglou, at the site of an older church. 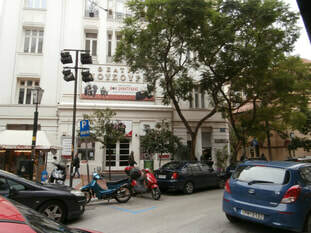 Other than Agios Georgios Karytsis, Parnassos Literary Society, the Moussouri Theater, as well as the former HQs of the Lambrakis News Group are landmarks of the area. Recently the area has developed into a hotspot for the young and trendy, and where history, culture and gastronomy have merged symbiotically. Completing the scene are the numerous smaller or larger bars, bar/restaurants, snack bars, and café-bars. 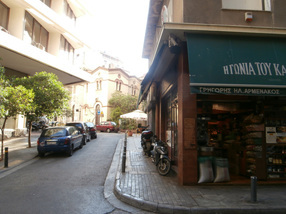 For a list of recommended hotels in Athens, click here! The church of Agios Georgios Karytsis, in the middle of Karytsi Square. Coffee Corner, a landmark of the area, at 4, Praxitelous Street, corner with Karytsi Square, supplies Athenians, both neighbors and coffee aficionados from afar, with excellent java! Buy coffee for the coffee-maker of your Airbnb or rental apartment or your hotel room, and buy some Greek coffee for back home! This, for sure, is my personal coffee vendor! Vintage Lovers store at 3, Karytsi Sq. is selling exciting and original products designed to make people happy. Their promise is to provide lovable, trendy and affordable homeware with a quirky twist, for a birthday party, Mother’s Day gifts, wedding decorations, kids room essentials and many more! 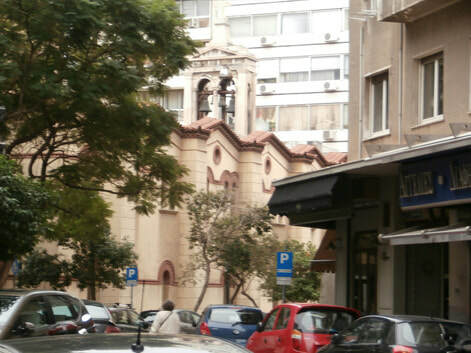 during the Nazi occupation and became a place of martyrdom for many Greek members of the resistance. 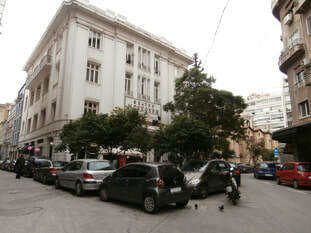 The former HQs of the historic Lambrakis News Group. 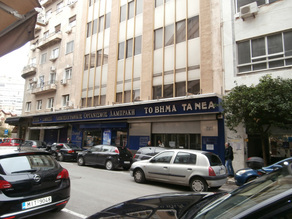 The former HQs of the historic Lambrakis News Group (DOL), publishers among many others of To Vema, Ta Nea, and Athens News, dailies, and Tachydromos weekly, now housing the Greek offices of The National Herald of New York, were located for decades here, on Christou Lada Street, just off Karytsi Square. This page is dedicated to my father Frantzis C. Frantzeskakis (1926-2010) who started working for the Lambrakis News Group as an orphan young boy at the tender age of fourteen, during the German occupation of Greece.